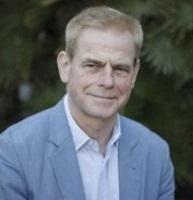 William Horsley is co-founder and international director of the CFOM. He has a leading role in promoting CFOM’s global mission to strengthen international protections for free and independent media and freedom of expression through research and analysis, journalism teaching, topical public events and seminars, advocacy, policy advice to governments and media, and engagement with inter-governmental organisations such as UNESCO (the UN’s agency with a mandate for freedom of expression and media development) and the Council of Europe. William holds a BA and MA in Japanese Studies from Oxford University. From 1971 he had a distinguished 35-year career as a BBC radio and TV reporter, foreign correspondent, programme maker and presenter, including on Newsnight and Europe Direct. He now contributes to UK and international media as a freelance journalist, broadcaster and blogger, with work published and broadcast by BBC programmes, BBC Academy blog, Open Democracy, Standpoint magazine, Al Jazeera, CNN International and others. Recent publications and international consultancy work by William include four reports for the Council of Europe assessing the state of media freedom across the continent since 2009. He is the author of the OSCE’s Safety of Journalists Guidebook (2nd edition April 2014) and other publications. William is vice-president and UK chairman of the Association of European Journalists and an executive committee member of the Commonwealth Journalists Association. He is on the board of Reporters Without Borders’ London bureau and the advisory board of Index on Censorship. In 2014-15 William was an independent member of the Council of Europe’s expert committee on the protection of journalism and safety of journalists. The resulting Council of Europe’s Committee of Ministers’ Recommendation on the protection of journalism and the safety of journalist and other media actors was adopted in April 2016. William has played a central role in many initiatives with CFOM, including projects with UNESCO to extend protection to journalists worldwide. More information about this work can be found on his International Director’s Blog.